The 46 square meter Clinic has 2 consultation rooms with an admin office and changing room behind the reception. Envisioning the interior as a homogeneous interior cladded with lightly brushed white oak veneer throughout, the Clinic has a minimal but cosy feel. 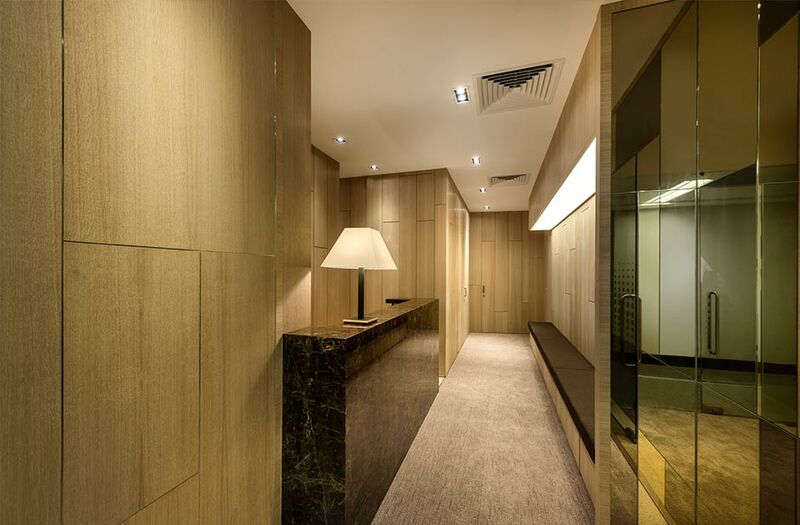 The entrance area has a feature wall with matching sizes of both veneer and gold and bronze mirror panels on each sides.